Retire and have 2 homes? With park model campers you can have that place in Florida or Arizona for the winter and live in Colorado, Montana or wherever you spend your summers. Want to be surrounded with the grand kids but can't afford a house where they live? No problem, a little searching and you will find a park model community where your loved ones reside. Other options would be a travel trailer in one location and a park model camper in another...your choice, which is nice. These homes are fully mobile, in that they are on wheels and have to be towed to the site...who hasn't been stuck behind one on vacation. They are mostly either 8 feet wide or 12 foot wide 40 feet long. If you are unlucky enough to be caught behind one of the latter you will be looking at a pilot car with flashing yellow lights for what seems to be an eternity. Their destination is usually the last time it will be mobile for a long time. The 8 foot models start at a little under $20,000 delivered to your site, these are built on a single chassis, and will fit in almost all of the parks, and are by far the easiest to transport, no special permits. 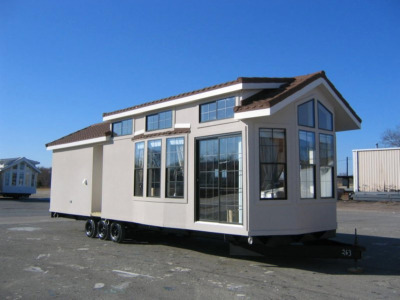 The 12 foot models start at $30,000, require special permits to transport, but offer so much more amenities to the purchaser. It offers 50% more width than the eight footers, and room for more goodies. Which is best?...its up to you, after living aboard a sailboat both seem huge to us. a new 12 foot park model camper delivered, set up, with basic skirts and landscaping can cost in the $50,000 to $60,000 range. A used park model is easily found...at least in sunny Arizona for, personal experience of $15,000., There are listings available in a nice park as low as $5000 for a older unit, same amenities. Own or lease the land ? With some parks you don't have a choice, it is one or the other. The sales price for a slab can range from $10,000 to $100,000. The yearly lease can range from $1400 to $7600 a year. This figure can vary depending on what utilities and services are included in the fee. If you own the land you should be thinking more long term than if you lease. Leasing always gives you more flexibility. It's up to you and depends on your situation. Here is an interior of a new model showing a great place for the grand kids to hide a loft. The amenities you can find in park models is just about unlimited. If you have a plot of land, can get the park model to the site,and zoning permits park model . You cahomesn set up anywhere you can pour a slab. A septic tank, a well and you are in business. You can make your own off grid power with solar and wind. 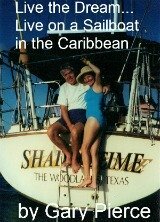 That's another subject we will cover, but we were self sufficient living aboard a sailboat, and we know it can be done on land. This is your call...the point is don't let the lack of a power line to your site be a deterrent to living where you want, you have more control than you think. If you obtain one nugget on this site, with any lifestyle you choose...try before you buy, if at all possible. 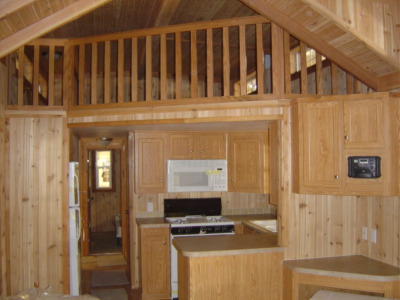 With Park model campers you can find rentals on a monthly to seasonal basis. The monthly rates vary widely. For instance in the Arizona park our friends live in, the company that owns the park will charge as much as $2600 a month in the winter. You can rent privately from the owners for $1000 a month and up. The park bulletin board is always a good place to start looking for the cheaper, just as nice, rentals. You get the picture, try before you buy. If you look hard enough you will find a park model community that will offer a 2 to 3 day stay for a nominal price... A good way to get exposed to all the amenities, talk to the residents, etc.